Millions of people per year take on the challenge of losing weight. According to some web sites, weight loss is a $30 billion industry. However, research has shown that 95% of those who lose weight eventually gain it back within three years. That has been called the “yo-yo dieting” by some health professionals. Yo-yo dieting, also known as weight cycling, is the repeated loss and regain of body weight due to excessive hypocaloric dieting. The term “yo-yo dieting” was coined by Kelly D. Brownell, Ph.D., at Yale University, in reference to the cyclical up-down motion of a yo-yo. In this process, the dieter is initially successful in the pursuit of weight loss but is unsuccessful in maintaining the loss long-term and begins to gain the weight back. The dieter then seeks to lose the regained weight, and the cycle begins again. Many weight loss companies focus on things that work in the long-term, such as, balanced nutrition with portion control, increased exercise and especially a long-term motivation to keep the weight off. However, their message is usually drowned out by the fad, gimmick and diet pill companies. As a matter of fact, diets do not work. Diets are temporary. However, when you change your dietary lifestyle, you’re changing your habits – and you’re putting yourself on track for long-term / continued success and weight maintenance. In an article by the Chief Science Officer of TriVita, Brazos Minshew explains the how to lose weight and keep it off. I’ve posted the complete article below. This is the perfect time for an encouraging article on keeping your weight loss goals. Nearly half of all people in North America make a New Year’s Resolution to change something in their life. The most common commitment is to lose weight. Second is to exercise more. Third is to stop smoking. Within a few weeks the number of people sticking to their resolve declines dramatically. Given the importance of improving our behavior, an encouraging word from an ally may be just the thing we all need to keep our resolve! Let’s review the best advice for weight loss that we have gathered from expert sources over the last several years. How: Reduce your calorie intake to match your BMR (basal metabolic rate). BMR represents the number of calories your body needs at rest; in other words, your body burns these calories through basic functions. Click here for a BMR calculator (labeled Basal Metabolism). So, BMR represents the ideal number of calories you should eat in a day. Additionally, increase your activity to burn 1-2 pounds of fat per week. When: Never eat within two hours of bedtime. Morning exercise is a bit better than evening exercise. Never consume more than 400 calories in an hour. What: Eat according to an organized plan. For example, South Beach, Ornish, Mediterranean, etc. Do both aerobic and resistance exercises most days of the week. Why: Your sense of purpose will dictate your actions step by step. Somewhere along the way you are going to experience discouragement, disappointment or despondency. It may be when you hit a weight loss plateau. It may be when you see others doing what you used to do and the old habits pull at your heart. It may be when those inner voices – I call them my “counsel of critics” – start to tell you lies about failure and success. What do you do when you hit a speed bump? The answer to this question does not lie in the “how – when – what” of weight loss. The answer lies in the “why.” Your personal “why” gives you energy. It inspires you, motivates you and drives you to complete your goal. Remember to let your desire fuel your action; let your actions harmonize with your sense of purpose. Simply be resolved to live a life of purpose and you will have the energy to get beyond the speed bumps. Lack of support – Losing weight with an uncooperative family is very difficult. In fact, diet failure is far more common with kids at home than among empty-nesters. A great solution is to turn those sources of distraction into cheerleaders. Recruit your family into your support group. Ask them for help and you may be surprised how helpful a supportive family can be. Social functions – Parties and family gatherings are another trigger for setbacks. Food and a festive environment are catalysts for overeating and skipping exercise. Careful planning in advance can really help with food selection and an exercise schedule. And if you do overindulge, remember the “calories in, calories out” rule and increase your exercise for a week or two to burn off the extra calories. Emotional issues – Depression, discouragement and despondency are also common triggers for diet failure. 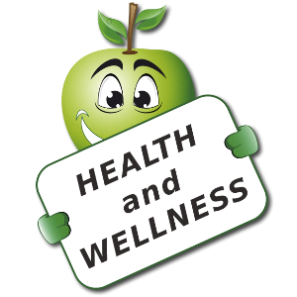 Remembering the 10 Essentials for Health and Wellness can be a good antidote. For instance, Essential #6 teaches us that we need to Give and Receive Love for excellent health. Love moves us to make commitments, committing ourselves to a life of purpose. Purpose is the reason for action. Therefore, love can help us balance autonomy, commitment and purpose with fear, shame and doubt. When we commit ourselves to such noble pursuits, they deserve our very best attention. We need to define our purpose as the foundation for success. Purpose is an important motivation to help us reshape our thinking. Purpose is the antidote to self-sabotage. Changing your lifestyle takes dedication and determination. Become committed to a lifestyle of change and improve your health and mental outlook. TriVita® has a lot of great information regarding your health. Sign up to receive their weekly Wellness Report. Take a look at their health and wellness products. If you need metabolic assistance with losing weight, try TriVita’s weight loss system.